The 4K TVs has unbelievable clear picture, texture and detail. The 4K TVs have four times pixels when compared to Full HD TVs and have horizontal screen resolution of 4000 pixels to 8.3 million pixels in total. The 4K TV has best screen resolution with clean lines, smooth and subtle rendering of colors and nearly has a three-dimensional effect. It is almost like looking out of a window! It is high time to upgrade to 4K, one reason being the flow of new content almost every day, secondly, very soon we might enter the 8K era so investing in a 4K is bare minimum. The 4K resolution makes every watch special, whether it is your favorite show, latest blockbuster or a new game. Amazon, Netflix and even BBC iPlayer stream in 4K. The BT Sports and Sky Q offer football and movies in 4K quality, even the latest releases are on 4K Blu-ray.Shinco offers 4K 65 inch UHD Smart LED TVata pocket friendly range. It has screen resolution of 3840* 2160, has A+ grade panel, has connectivity of 3 HDMI and 2 USB input, M.Cast and wireless headphone control. With easier control and faster access, Shinco 4K ultra HD TV is easy to explore and enjoy more of Netflix’s premium 4K HDR content. The models have AI powered by Sensy and has voice recognition feature as well. It also has Air Click remote specially designed with QWERTY keyboard for a hassle-free operation. 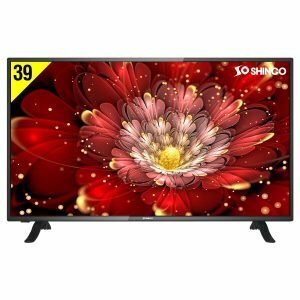 Shinco has one of the best 55 inch 4K TV online offering great picture, lots of features and decent pricing. It has 4 K resolution, 3840 x 2160 pixels, 2 speakers, 20 w output, 178° Viewing Angle, Ethernet, Internet access via WiFi, 3 HDMI ports and 2 USB ports. 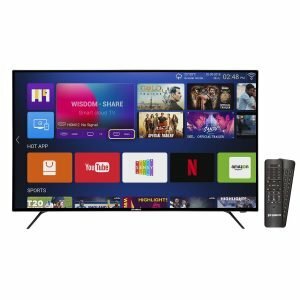 Shinco 65& 49 inch 4k smart TV works without a flaw and beats all other budget TVs. 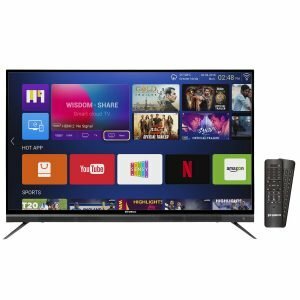 Shinco’s 4K ultra HD TVs are easy to purchase, affordable and are smart because of the advanced technology being used today.